Since 1968, the Hessley Law Offices has been providing quality legal services to clients throughout Warren County, Pennsylvania. Our law firm handles all legal matters, but concentrates on criminal defense, civil litigation and family law concerns. Whether you are facing a criminal charge, civil litigation dispute or complex family law concern, our goal is to help you resolve your issue as quickly and painlessly as possible. We will carefully review your case, discuss your goals and address your concerns in order to tailor our representation directly to your unique needs. This personalized approach allows our attorneys the opportunity to offer compassionate and calming assistance when you wish to work toward amicable resolutions to your issues or aggressive guidance when you wish to fight to obtain the resolutions you seek. 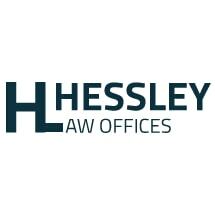 The Hessley Law Offices is led by a father and son legal team with nearly 50 years of combined legal experience. Our legal team's knowledge of a broad range of practice areas and refined negotiation and litigation skills allow us to provide personalized and comprehensive guidance to you throughout your case, working toward the most favorable resolution to your legal matter. To talk to an experienced lawyer about your legal issue, contact our law firm today. We offer free initial consultations for criminal law cases and make ourselves available to address any questions and concerns that arise. Being charged with a crime can be one of the most confusing and frightening experiences you ever face. Whether your charges relate to a DUI, a drug crime or a more serious offense such as murder, protecting your future from unnecessary harm. Sustaining an injury from another party's negligence or malicious actions can be a frustrating and costly experience. Whether your injuries are physical or financial, you may be able to recover compensation for your losses. Finding resolutions to challenging legal issues that impact your family can be a difficult task to face alone. When your family's well-being is on the line, it can be helpful to turn to an experienced Warren family law attorney. At the father-and-son firm of the Hessley Law Offices, our attorneys leverage nearly 50 years of experience to offer quality legal guidance to clients throughout the Warren, Pennsylvania, area. At the Hessley Law Offices, we leverage nearly 50 years of combined experience and a detailed knowledge of several practice areas to give quality legal guidance to clients throughout the Warren, Pennsylvania, area.